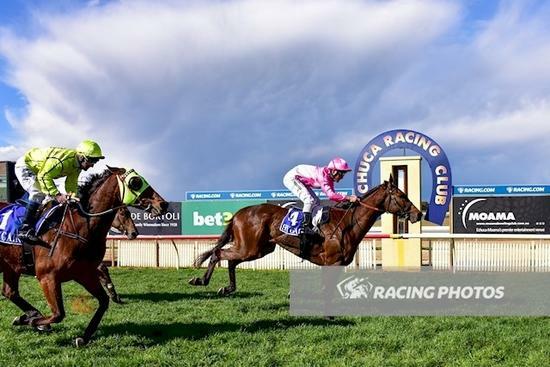 Patrick G Carey Racing Stables :: Havana to Echuca for a win! Havana to Echuca for a win! Congratulations to Hancox Bloodstock on the win of Havana Haymaker in the Bourke Builders handicap at Echuca on 15th September. Back up to a longer trip and partnered with stable apprentice Jack Martin, the big horse settled in his customary position at the rear of the field. When the pace slackened Jack made a tactical move to go forward where he sat wide but with cover, giving him every opportunity to take advantage of the run when it presented. In the straight Havana Haymaker responded to strong riding from Jack and showed his true staying potential to win by a length. This win was a real reward for the patience of connections who have had their fair share of ups and downs in Havana Haymaker's career, and hopefully there will be more fun in store as he continues this preparation. 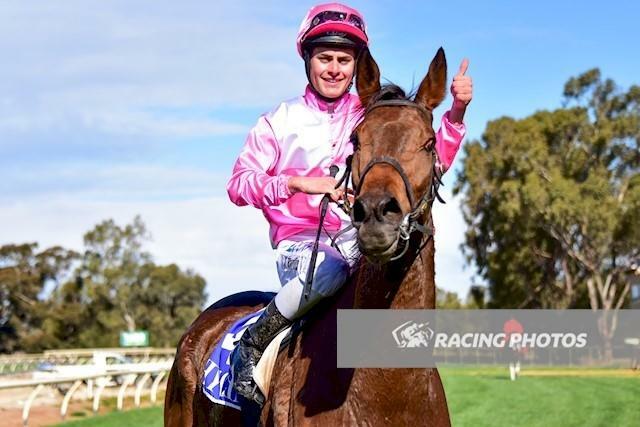 The pink and white colours of Hancox Bloodstock were in the frame twice at Echuca on Saturday, with Havana Haymaker's win and Star Missile's victory in the 1Print maiden. Thank you as always to our hard-working crew at Epsom Lodge. It is fantastic to see everyone's dedication rewarded with a win, and 2 wins in 2 days (De little Sister on Thursday and Havana Haymaker on Saturday) is even better!